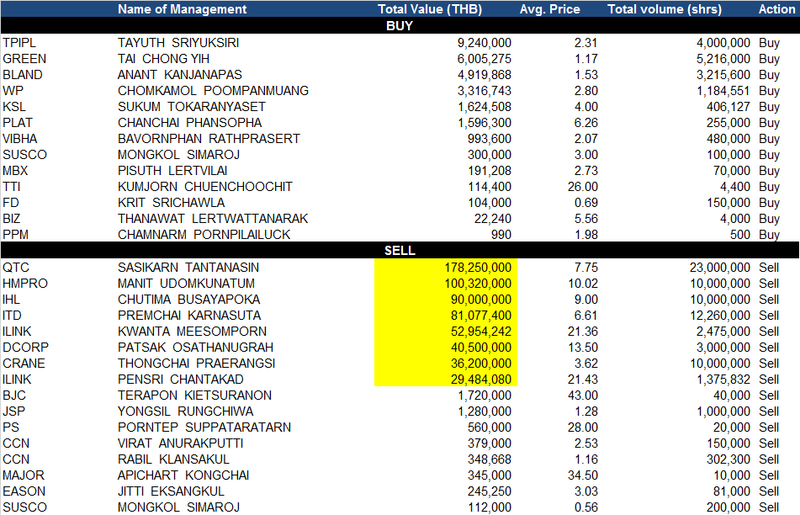 HMPRO – Must’ve been a block sale by this director..
IHL – More selling out of IHL, are things changing at this company on the shareholder level? ITD – When was the last time you saw the founder ever buy shares in ITD? CRANE – Now this is a first, haven’t seen a sale by anyone in CRANE for as far back as I can remember. Comment: They haven’t really proven to do much in Vietnam since being listed..